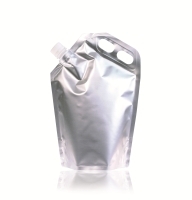 A large selection of high barrier multi layer stand up pouches - all of which fall under the recycle code 7. Produced in our ISO9001 / ISO2200:2005 factory - fully suitable for food, drink, CBD oils, Hemp, Cannabis & other pharmaceutical products. 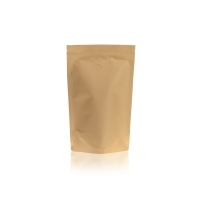 We also offer fully customised DoyPack, Stand Up Pouches, Re-sealable pouches, flat bags etc. A term for a 2 or more layer laminate, it typically consists of an outer layer of PET and inner layer of LDPE. The LDPE inner layer can also be pigmented to offer a clear or opaque appearance. With the addition of Aluminium, VMPET, EVOH, siox or alox you can take advantage of additional O2 barrier properties further increasing the shelf life and freshness of the product. ALU (Aluminium) is used as a UV and O2 barrier in multilayer laminates. Artwork - Adobe illustrator .AI formats or a .PDF export used to create printing cylinders for the rotogravure printing process. Using your artwork – we can create fully bespoke pouches with full colour edge to edge printing. Die lines and pouch lines measure the form and shape of the bag, and is an aid in the artwork design phase. 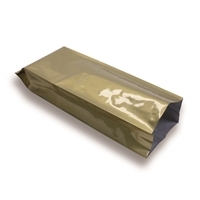 For roll stock, they are called die lines, and for pre-made bags, the term is pouch lines. After the artwork has been processed and approved, the production process starts with the manufacture of the printing cylinders. Once test prints have been made, the production process, with the image being reverse printed in up to 8 colours on the outer PET or OPP substrate. The next step is the lamination, where the substrates are bonded together. After this, the laminate is wound, cut, converted and finally packaged. Linear low-density polyethylene. A strong, clear or pigmented film ideal for packaging of foods. It is heat sealable, has excellent puncture and tear resistance, and has a high degree of stiffness. It is most commonly used as the inner layer in most laminates. 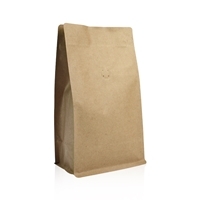 A natural strong form of paper that can be used as both the outer substrate or beneath the OPP layer of bags and pouches. Provides a more natural look and or feel to the packaging. Abbreviation for Oriented Polypropylene. This material is used as a substitute for PET and can be provided in glossy or matte finishes. Polyethylene terephthalate is a form of polyester. Most commonly used as the outer substrate on laminates due to its excellent elongation and barrier properties. Most commonly used as the printed outer layer. Bags already formed at the factory. This is as opposed to roll stock. A copper cylinder made to the width of the printed substrate – 1 cylinder will be used per colour in the artwork. Using the copper printing cylinders the inside of the outer substrate will be printed, each individual colour in the artwork will have its own pass to a maximum of 9 colours. This non-metallic substrate is a new and exciting development in the flexible packaging industry. 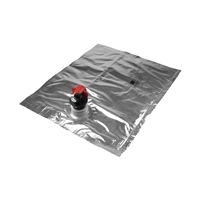 First, it enables the elimination of metal foils such as ALU and VMPET from the packaging. 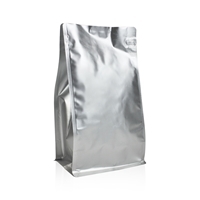 Secondly, it enables the bag to be partly transparent, while maintaining high barrier properties. Generic term for the layers of which the laminate is composed. A wide range of materials can be used, such as ALU, LDPE, Kraft Paper, PE, PET, VMPET, and BOPA The choice of material depends on the use of the final laminate. Polyamide - this strong clear puncture resistant material is used usually as the inner substrate or on the inside of the metalized layer. 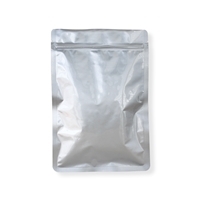 Has excellent elongation and tear strength properties, and is used commonly on vacuum pouches. Metallized PET. 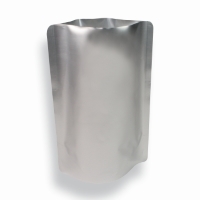 This material consists of PET, which has been metallized with aluminium. It serves as a light and oxygen barrier, and is often used instead of aluminium. It has a slightly more smooth appearance than Aluminium; however, it is slightly less efficient as a light/oxygen barrier. It is however cost effective and environmentally friendly also often used in compostable laminates. A degassing valve that is used for the release of CO2. Once coffee beans have been roasted and packed typically within a 2 week period CO2 is naturally released. In order to allow the CO2 to be released and retain coffee freshness a degassing valve is required. 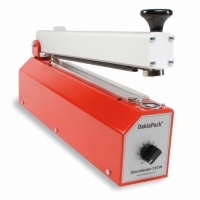 Daklapack has experience developing bespoke solutions in various areas of our expertise, such as laminated packaging. Filling is our bread and butter. 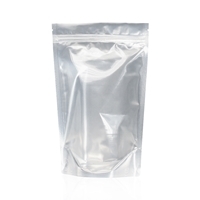 We fill standup pouches with liquids, powders, and tablets under hygenic conditions. We can even fill small production runs, by hand, if necessary. Packaging with a print, packaging on a different size or packaging designed according to your own preferences. DaklaPack is higly experienced in developing bespoke solutions in the diverse areas in which we specialize, such as laminated packaging. Filling is DaklaPack's bread and butter. 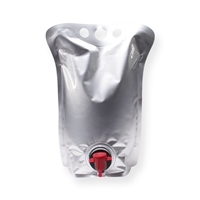 We fill standup pouches with liquids. 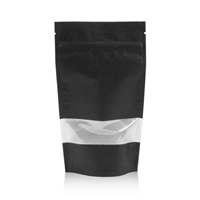 We fill standup pouches with liquids, powders and dry powders and tablets and we do all our filling under hygenic conditions. We can even fill your packaging in small productions runs, by hand if necessary.